Today we get an exclusive first look at the new First String pack from Converse, comprised of a Chuck Taylor All Star Hi and a Jack Purcell Ox, both with 100% Cashmere uppers and additional leather details. 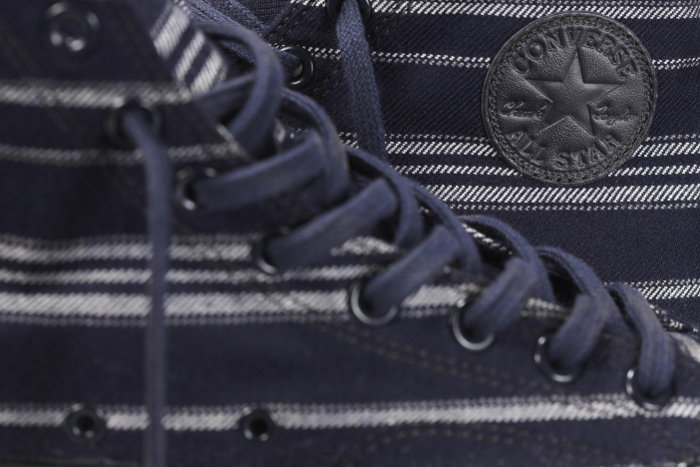 Converse is known for pulling out all the stops with their First String programme, and both sneakers are great examples of this. 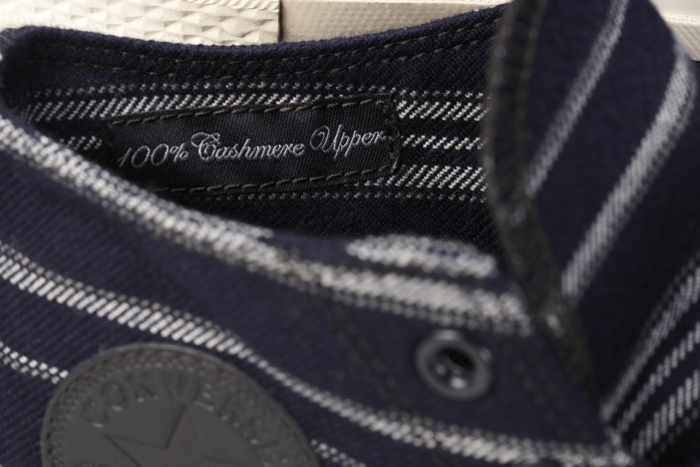 Featuring navy and white striped luxury Italian cashmere uppers, both pieces are proudly stamped so on the interior with a small woven label. For a bit of context, Cashmere wool itself comes from goats, and is known for being a strong, fine and incredibly soft fabric, named for the Kashmir region where it was originally produced thousands of years ago. 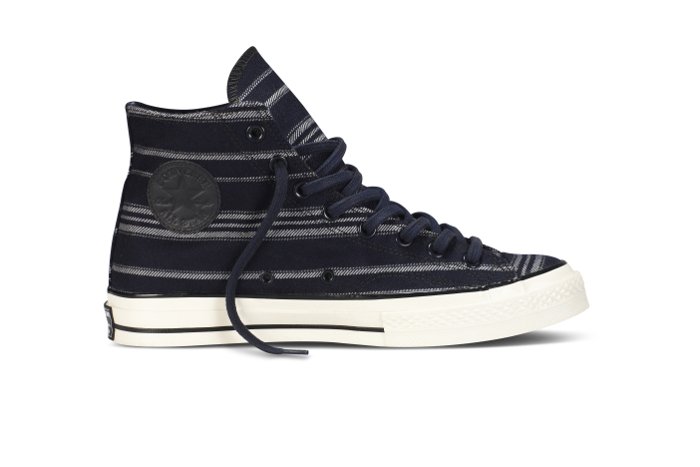 Additional details like the Converse All Star branding and debossed footbed come in a blue and black leather, adding to the rich use of materials, and eyelets come in a deep blue matching that of the cashmere. The Chuck Taylor Hi utilises the recently returned 1970’s shape with the slightly more substantial sole unit which makes all the difference. Both this and the Jack Purcell Ox feature off-white soles, with trim, heel tabs and the latter’s signature ‘smile’ contrasting in black. 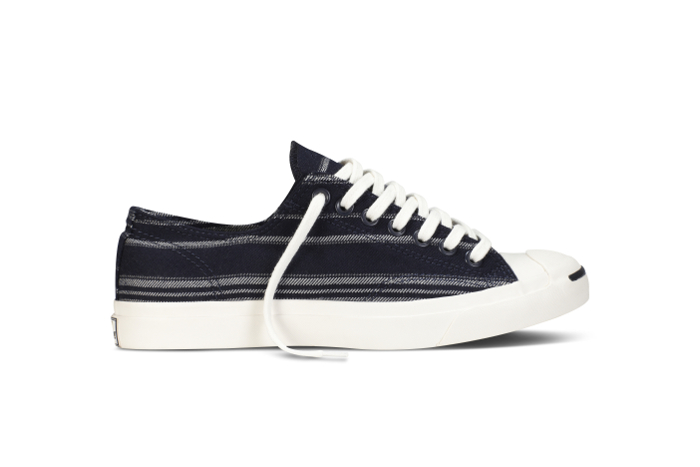 Both sneakers give new definition to the word ‘premium’, and I’m struggling to pick a favourite, but I think the Jack Purcell might just edge ahead. The Converse Chuck Taylor All Star Hi and Jack Purcell Ox will be available from First String accounts, including London’s Dover Street Market this Friday August 9th. More images follow below.